Freddie Scappaticci aka “Stakeknife” arrested in England. In the news is that one Freddie Scappaticci also know as “Stakeknife” has been arrested by British Police at a undisclosed location. The past activities of the man are also under investigation by Chief constable Jon Boutcher and his squad. 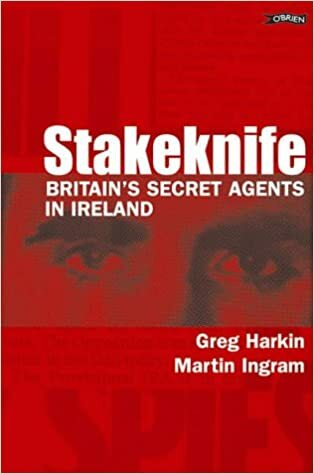 “Stakeknife” is believed to be involved in up to fifty killings with some at the behest of his handlers in British intelligence and others just to cover up for himself. He is believed to be a high level (but not the highest) informer in the I.R.A for the British army. He was “outed” as a tout by “Martin Ingram” and Greg Harkin in their book “Stakeknife” and quickly fled Belfast despite initial denials. It would seem that the Brits have given him up but its unlikely that they will allow the goings of British intelligence to be aired. Despite this it will be interesting to watch. Next Next post: The Oscars & Politics .